Since 2016, we’ve been publishing a monthly Cycle Hayling column in the Hayling Islander to keep everyone up to date with what’s going on (which we now publish on our website for anyone who doesn’t get the Islander). However, as that’s aimed at the general public, we can’t always speak as freely as we’d like, and so we haven’t kept our supporters or our web site updated as much as we should have. So here’s a summary of what’s been going on, to save you reading the whole website (which you’ll see we’re gradually updating). A lot has happened, so you can click any heading below to see it in bite-sized chunks …. This is our Hayling Islander column for February (excluding any editing by the Islander, images may differ). Cycle Hayling launches our new website and ‘Smooth the Path’ campaign. Does Hayling deserve smooth, all-weather paths that can be used safely by everyone? Not just by cyclists, but by parents walking with buggies, kids with scooters and balance bikes, wheelchairs, disabled buggies, and even people who struggle with balance? Like the ones on the mainland in Havant? Because Hampshire County Council says we don’t. And that’s why Cycle Hayling is launching our new 2019 website with our ‘Smooth the Path’ campaign. Havant Borough Council has announced that it will be starting work on a formal Local Cycling and Walking Infrastructure Plan shortly. We are running a little late (we originally hoped to have had the work done by now) due to the bad weather over the past weekend. HCC has also asked us to do some additional defence work whilst we are on site. The expectation is that the Trail should be open to the public by the early part of next week. The Trail will be closed south of the Oysterbeds / Esso car park for up to 3 weeks to allow repairs to be undertaken to a section of the Trail damaged by storms in 2014. P T Contractors from Southampton have been appointed to carry out the works which will see 110m of timber revetment built to protect eroding clay banks alongside the popular Trail. After the works are complete, temporary fencing which has been erected to prevent users for getting too close to the sheer drop into the Harbour can be removed. The works are funded by Hampshire County Council. The closure is to allow heavy lorries and other plant to access the working site safely. Whilst recognising the temporary inconvenience the closure will cause, the public are asked to be patient and to respect the closure which is after all for their protection. We understand from various sources that the work is due to start on Monday, 16 November. Cycle Hayling is planning to run a number of cycle surveys, to gather information about cycle traffic on the island and usage of the Hayling Billy Trail. We are seeking volunteers to take part in our initial survey, which will be purely a counting exercise, based at the south of the bridge. A later survey will involve a count and a short questionnaire and will take place on the Hayling Billy Trail. We plan to run the initial counting survey on Sunday 17th May (8am to 8pm) and Monday 18th May (7am to 7pm). It will essentially involve working in pairs over two-hour slots. If you can spare two hours on either or both of these days, and would enjoy counting bikes (! ), please contact Sue Underwood at sue@cyclehayling.org.uk. Please state your preferred times/days and the number of time slots you can manage. Sue will then contact you with a choice of slots before the end of April. If you’d like to help with the survey work but cannot make those dates, please get in touch anyway, as we hope to perform extra counts in May and the HB survey later in the year. These surveys were based on electronically recorded data. A similar electronic count is currently in progress at the north end of the bridge, and has been running since completion of the west-side cycleway. Our count will help to verify this data but also provide more detailed information on cycle journeys once on the island. Hayling Billy Trail survey in 2004. Implementing this detailed survey was organised by Paul Fisher (HIRA) on behalf of HCC. The Hayling Billy Trail survey looked at all types of users of the trail: cyclists, walkers, dog-walkers, disabled users, joggers and horse-riders. It included a count survey and a questionnaire survey. The results showed that the trail was “heavily used, and most popular with cyclists”. In fact 70% of users were cyclists! 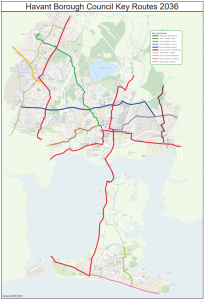 A telling statement from the questionnaire analysis was that “The majority of people said that they would use the path more if it provided a continuous and safe route to Havant”. 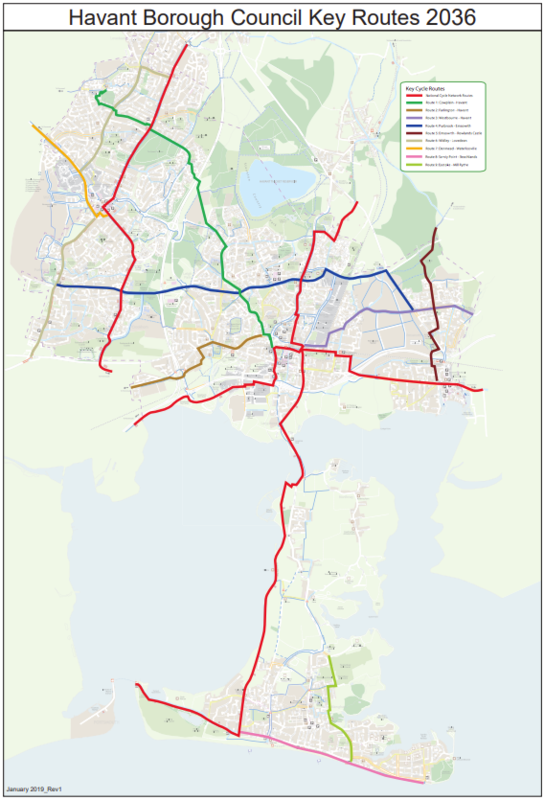 The Portsmouth CTC web site has two fascinating articles explaining how the Billy Trail came to be developed as a shared cycle path.